Firstly, Rob has accepted the job offer from Bosch and starts work on the 9th August. YAY! He’ll be working in Bosch Gardening in a town called Stowmarket an hour from Cambridge. Considering Dyson was 3 hours away, Bosch is a much more manageable commute. Our second bit of news is that we have found a rental property and move in on the 7th or 8th of August. YAY! 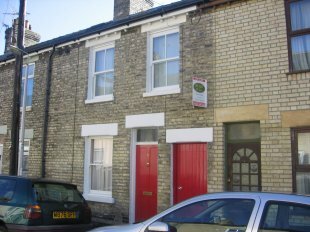 It’s a little 2 storey Victorian terraced house a 15min walk from town and near the train station and bus lines. Fantastic. We’re really thrilled! Here’s the teaser image of the outside. We probably won’t post more photos until we move in. Now, back to the travels. Some of you may know that I love going to the zoo. 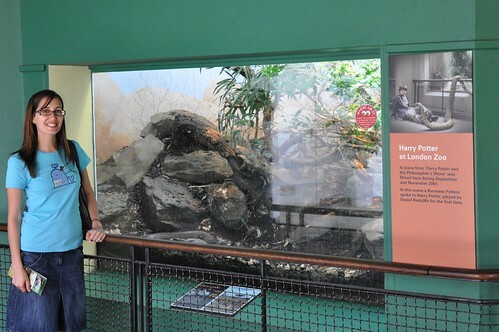 The different animals and watching how they interact with each other and their environment. It can be pretty awesome. 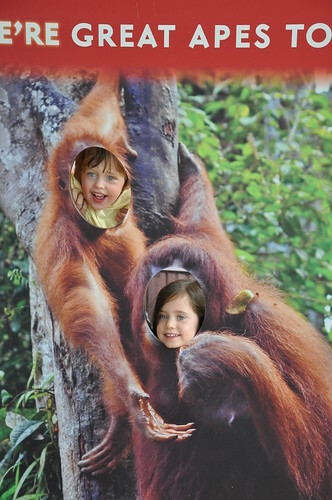 So, we decided we’d go to London Zoo and see some stuff. We went with Wendy and the two kids she nannies, Eavey and Jack. 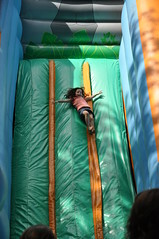 The kids were good fun, and climbed all over the gorilla statues, played on the play ground, went on the carousal etc etc. There weren’t a lot of animals in their zoo experience. 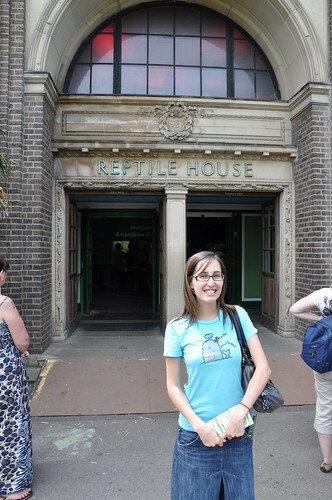 However, I *mainly* wanted to go this time to see the Reptile House where they filmed the first Harry Potter film (you know, with the snake and everything?). The zoo had a wonderful butterfly house. 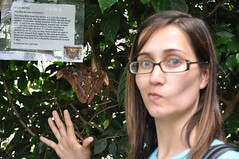 Unlike the Melbourne butterfly house, there were *big* butterflies in there. 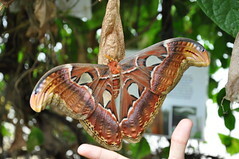 Indeed, they had a bunch of the biggest moths in the world (see below). They were massive, their wing span was wider than my hand!! Pretty awesome. 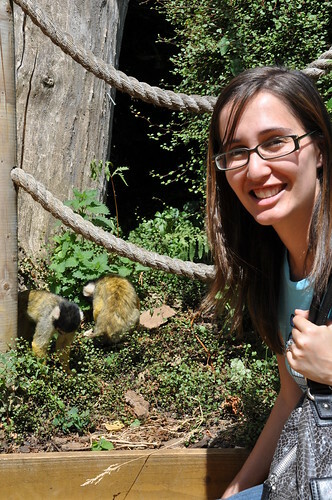 But the absolute *highlight* of the zoo was the monkey enclosure with no fences between you and the monkeys. EXCITING! 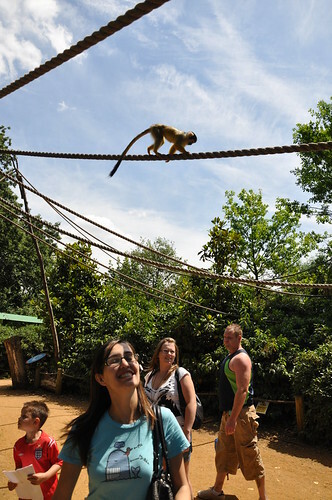 The monkeys run through the bushes and trees and over the walkways via a maze of ropes. And you’re right in there amongst their activity. 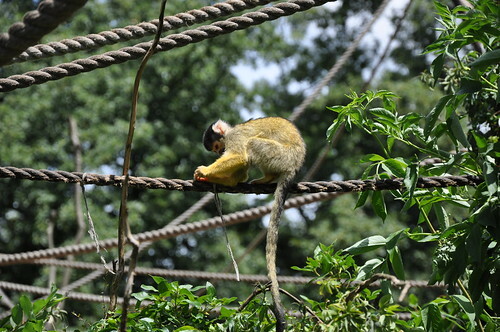 There were dozens of monkeys and they were so busy and active. Was just wonderful to be in amongst. I could’ve stayed there all day. Fantastic stuff! More enclosures like this London Zoo! 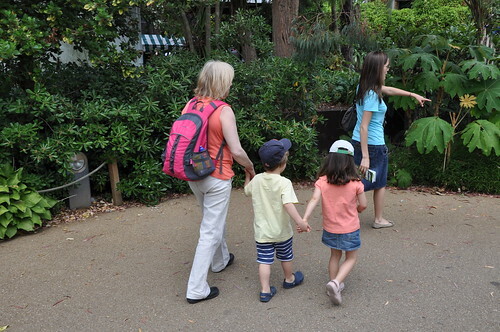 Now I do warn everyone that the zoo in the summer is *EXPENSIVE* and it is kinda *SMALL*. We accidentally walked across half the map!! So long as you know both those facts (expensive and small) up front, then you can forgive the rest. 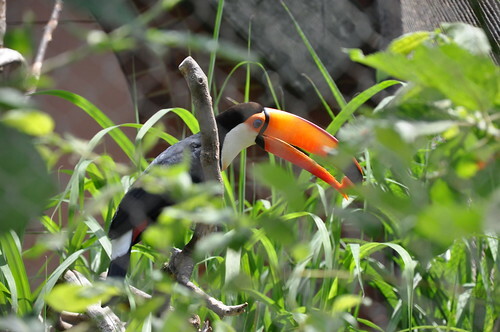 There’s a great array of animals (tigers, giraffes, penguins, gorillas, reptile house, aquarium etc etc) so you should be able to get a days worth of entertainment out of it. Hope this finds everyone happy and well! 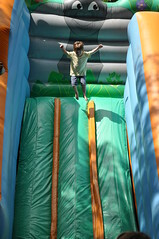 We’ve got 4 more posts of activities in London before we finally get to Cambridge and can tell you about our new home! Oh oh! When I’m there, we’ll go, right? RIGHT!? I’m jealous, and I miss you guys! <3!